You can never be better by putting others down. You do not display your own greatness by picking out the flaws in another. You do not improve your life by stomping all over the life of another. We all rise together, and the more you uplift others, the more you are uplifted as a direct result. 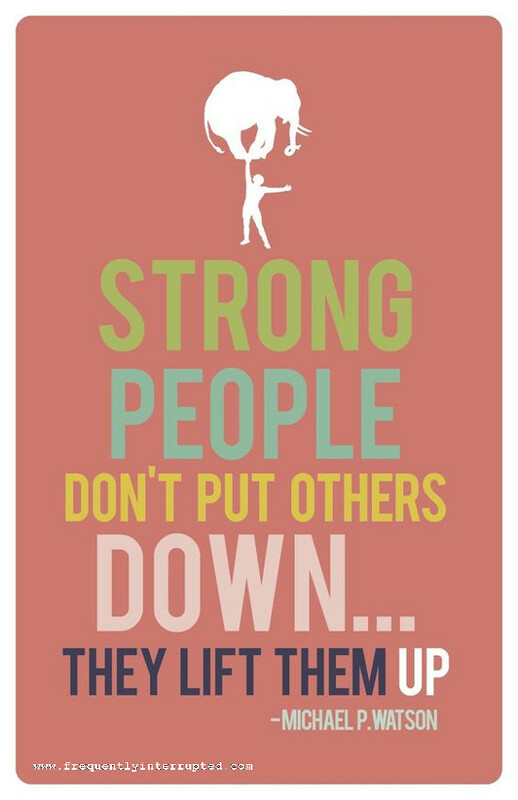 Lift others up, and rise.